​Helicopter Flight Training Inc. - Helicopter Flight Training Inc.
​LONG ISLAND ​MACARTHUR AIRPORT * 2111 SMITHTOWN AVE.
At Helicopter Flight Training Inc. we provide helicopter flight training for individuals interested in flying for fun as well as careers in charter EMS, firefighting, external load, tour operations and a number of other exciting careers. We have been offering flight training courses for over 30 years, and our graduates have gone on to fly for helicopter companies all around the world. ​ Our training environment in Long Island, New York provides the real world experience that will keep you safe and in demand. Learning to fly can be an amazing experience, and we have the knowledge, courses, instructors and equipment to help you make your dream of flying a reality. Our pilots are among the most experienced in the United States and have completed extensive training with some of the best flight training programs in the world. They have accumulated their flight time with photo flights, agriculture, city tours and of course instruction. Our instructors have both military and civilian backgrounds and pride themselves on giving you the best training environment possible. Contact us and book an introductory flight to start your path to a great career in aviation. We have the highest standards for our helicopter maintenance so you will always have access to safe and reliable aircraft. ​All of our aircraft are maintained in our Robinson Service Center by factory trained mechanics. Our fleet includes Robinson R-22's and R-44's. We also offer turbine transition. We are pleased to make available the finest training fleet in the New York area. We train pilots from private pilot all the way to ATP. Our programs are hands on and you will get to fly your first day. You will work one on one with your instructor to ensure you have the skills to not only learn your rating but to be the safest pilot you can be. ​Pricing is competitive and you will be learning in one of the most challenging environments in the United States. 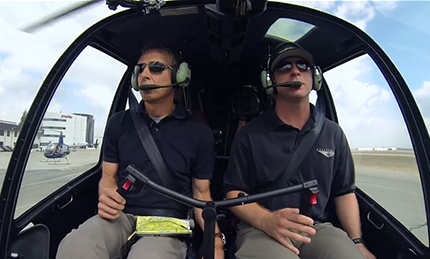 Schedule an intro flight to find out if you have what it takes.